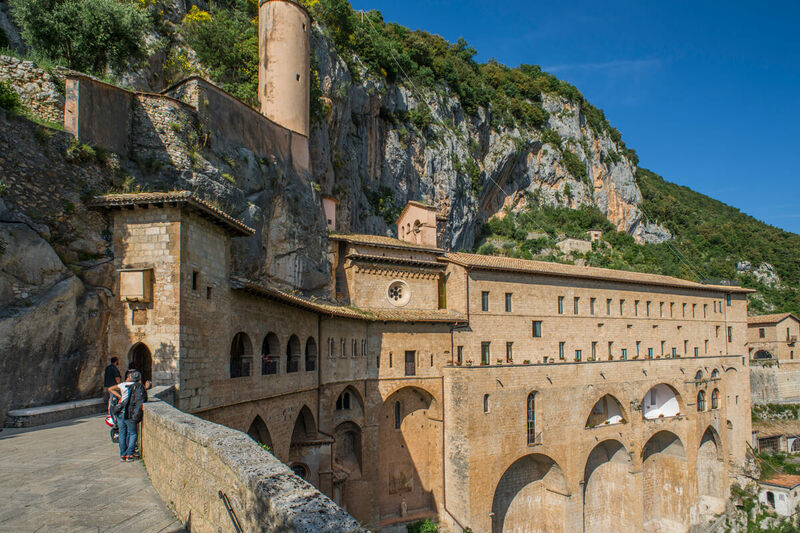 Located on a spur of calcareous rock, dominating the Aniene Valley, is Subiaco, a high-medieval village dominated by the imposing Rocca Abbaziale. 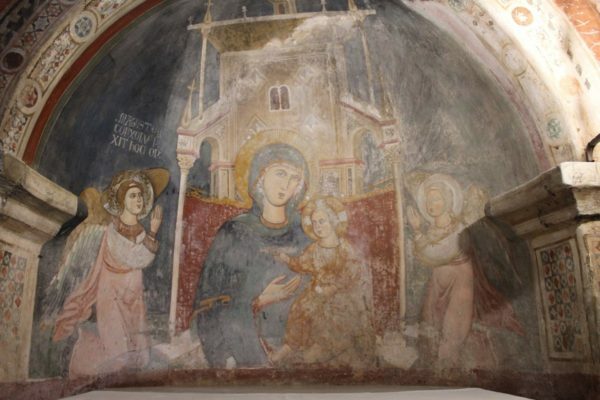 Moreover, Subiaco is immersed in an area rich in both historical and artistic attractions. 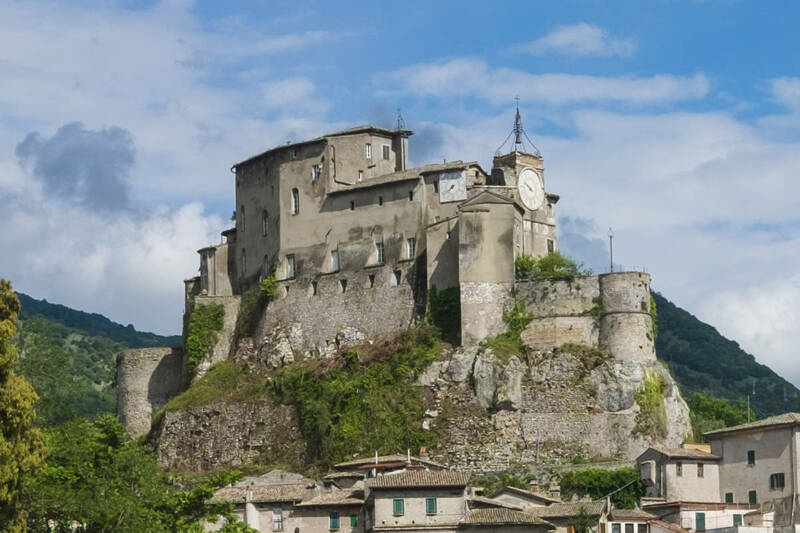 Thanks to its ancient monuments and its position, it has been included among the most beautiful villages in Italy. 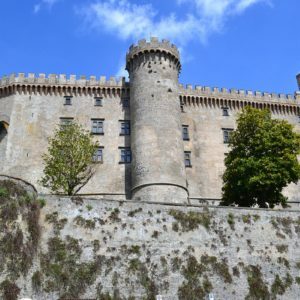 Among these we can only mention the two splendid Benedictine monasteries of Santa Scolastica and San Benedetto also known as the Sacro Speco. Immense and of great environmental value is the beautiful and wild Regional Natural Park of the Simbruini Mountains characterized by wide beech forests, extensive green meadows, valleys, rivers and mountains between 1600 and over 2000 meters. Because of the strong and contrasting emotions that these places offer, they have long been the destination of many travelers, whether they long for contemplative experiences, or who wish to experience the intense sensations that only total isolation in the wildest nature gives. 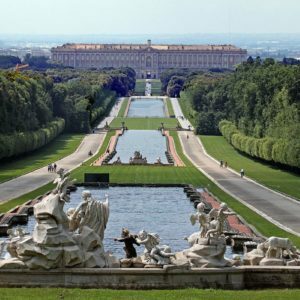 A place that has attracted illustrious figures of ancient Rome, eminent Saints and solitary hermits, and who magically continues to attract anyone in its whirlwind of beauty. From the Latin sub laqueum, “under the lakes”, the built-up area stands under the Simbruina stagna, the three artificial lakes created by the damming of the Aniene river, on whose right bank the emperor Nero had a villa. 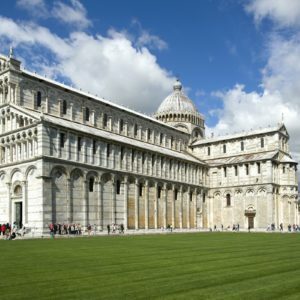 Perfect location for a day trip from Rome leaving back the noise of the big city you will enjoy with your small group sites that rich powerful of ancient Rome before and saints and churchmen after have walked the paths. In the historic center of Subiaco we can admire various religious buildings that embellish the village and offer the tourist excellent ideas for the visit as the Rocca Abbaziale, of medieval origin but largely transformed between the sixteenth and seventeenth centuries). Just outside the village of Subiaco we would be captivated by the splendid Church of San Francesco, built in 1327, with wooden altars and valuable paintings from the fifteenth and sixteenth centuries; the neoclassical churches of Sant’Andrea (devastated by bombs in the Second World War and restored by Florestano Di Fausto) and of Santa Maria della Valle in the heart of Subiaco constitute together with that cited of Santa Scolastica and the Palace of Pius VI in the fortress, one of the most beautiful Italian neoclassical complexes. Along the road that leads from the monasteries to Subiaco are the remains of the Villa di Nerone. 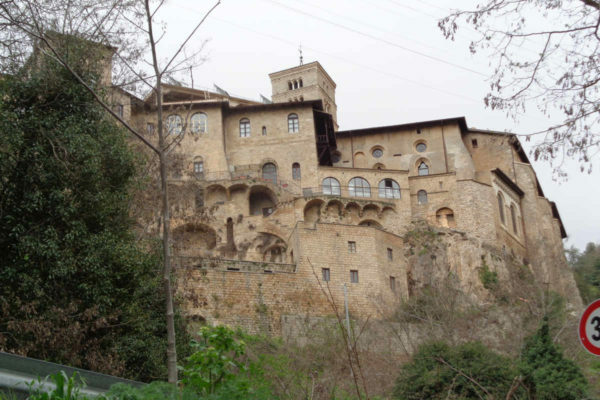 In Subiaco instead, the town is dominated by the Abbazia Rocca, which is not always open to visits, but near which it is an interesting medieval block. Its surroundings then, as included in the Regional Natural Park of the Simbruini Mountains, are important above all from the naturalistic point of view. From here it is possible to reach Monte Livata, renowned for its ski resorts, and from which suggest evocative routes towards Monte Autore. Neighboring countries of notable interest are Arcinazzo Romano, whose wonderful homonymous plateau is known, Cervara di Roma and the more distant Arsoli.